Want to explore the latest in skincare and haircare? Check out these 4 underrated brands that are coupling technology with high-efficiency ingredients. These up and coming stars will hook you line and sinker! Founded in Germany in 1956, this research-backed skincare brand is dedicated to the development of high-performance products for different skin types. Using cutting-edge active ingredients, the brand aims to give skin an unparalleled experience. The Ampoule series is a popular collection that separates active ingredients into separate ampoules to ensure that its essences stay fresh and pure. The formula includes two kinds of hyaluronic acid and seaweed, which offers deep moisturizing properties to improve dry, dull skin and revitalize skin texture. This anti-wrinkle hero contains a cutting-edge HSR compound to fight fine lines. The creamy texture feels dreamy on the skin, and contains hyaluronic acid to lock in moisture. Plus, it protects skin from collagen and elasticity loss to ensure skin stays smooth and firm. Formulated with patented cleansing technology, this cleansing lotion is designed to gently and thoroughly remove facial makeup residue and dirt from dry, sensitive skin. It also contains antioxidants to maintain the skin's moisture barrier. The Rose Gold Stem Cell Series uses active ingredients such as African white wood extract to reduce excessive oil loss and improve pores. The long-term use of skin will be significantly improved. Moisturizing texture is more suitable for mature skin, and it is more delicate and smooth. The American Men's Care Brand was founded in 1965 in Beverly Hills, California. Focusing on men's daily routines, this brand offers hair styling products and luxury shaving implements for gentlemen who like to live the good life. Some men don't like to use skin care products because they're too greasy or smell too strong. But this cream avoids both problems. It contains natural botanical extracts that moisturize and nourish the skin without feeling heavy or greasy, and the fragrance-free formula ensures that it stays popular with men of all ages. Start the day with clean skin! This clay mask takes the place of a cleanser with its powerful deep-cleaning botanicals. The mud is perfect for sucking oil out of pores. It even contains botanical extracts to absorb excess oil and dirt for clearer, more lustrous skin. This tonic is blended with natural essential oils such as mint, rosemary and eucalyptus to soothe sensitive skin after shaving. It also contains aloe vera extract and vitamin E, D & A for optimal moisturization. Plus, the spray design makes it easy for fine water droplets to penetrate the skin. Get great hair every day! This pomade comes in a paste formula is easy to apply and shape. Infused with natural ingredients such as earth and beeswax, it offers a durable, matte finish that looks totally natural. With this, you'll be able to step out in style. 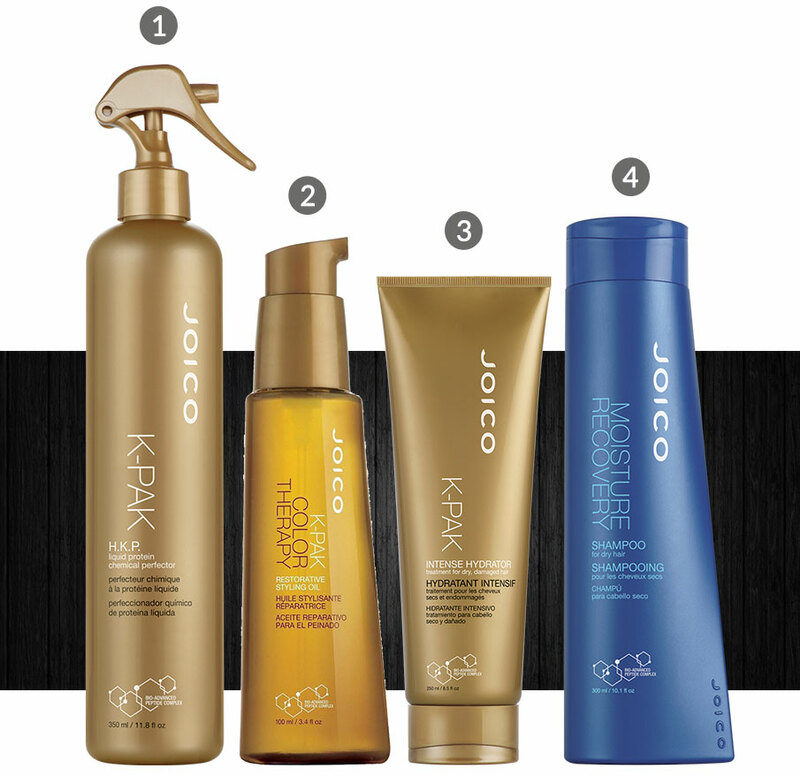 Founded in Southern California in 1975, Joico is a professional hairdressing brand for high-end salons. Dedicated to meeting the diverse needs of different hair types, it offers a huge variety of lines for different hair types. The exclusive technology utilized here is "silk hydrolyzed keratin", which increases the elasticity of curls and enhances the strength of hair. Hair becomes smoother and stronger, so you can enjoy great hair every day. Hair oil is the secret weapon that stars use to enhance their hair behind the scenes. This formula incorporates a variety of nut oils from Africa to protect hair from breakage and lock in hair color. It also contains the antioxidant vitamin E to delay fading. Suitable for the daily care of chemically-treated hair. The holy grail for dry or damaged hair! This highly effective hydrating conditioner has a mild pH 3.5 for the gentle care of hair. The unique keratin ingredients penetrate deep into the hair to repair damaged roots and restore moisture levels. Leaves hair richer, healthier and more radiant than ever! High-end salon products don't have to break the bank. If you're looking for a luxe shampoo that contains moisturizing marine ingredients and the exclusive "silk hydrolyzed keratin", look no further. This creates an amazingly healthy sheen for hair, because it prioritizes moisture and essential minerals for hair. Founded in Barcelona in 1979, this Spanish brand is beloved by the Spanish royal family. It's committed to researching anti-aging skin care products, and over the years it has launched a variety of high-tech skin care products containing patented ingredients. Its outstanding performance speaks for itself, and it has received acclaim from all around the world. This recovery cream repairs damage and injects nutrients into the skin. Besides giving new life to your skin's self-defense mechanism, it also deeply nourishes to make skin firmer and more elastic. In just one step, you could make skin appear younger and healthier. Essence is an indispensable step in a skin care routine. This one contains anti-aging ingredients for an immediate firming effect while protecting the skin against hormonal imbalances. Perfect to use after a cleanser and before daytime SPF. This ultra high-end line does not disappoint. Real diamonds are ground into powder and added to this product to create a truly magical effect. This eye serum combines luxurious ingredients with flavonoids for a slow release of vitamin A, which significantly tightens the eye area, improves dark circles and puffiness, and diminishes fine lines. 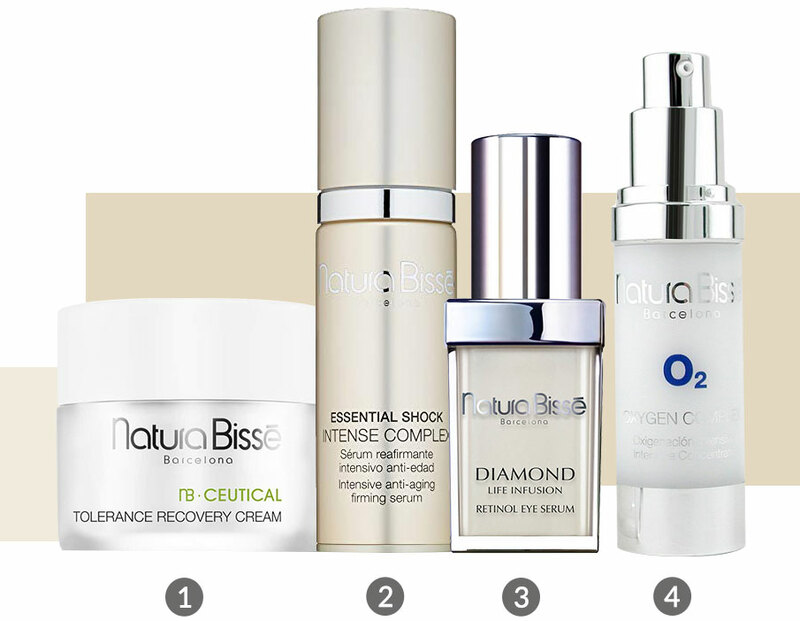 Oxygen can promote cell activation, giving skin unparalleled vitality. That's why this complex contains patented technology to inject oxygen into the skin. Together with hydrogen peroxide components to purify, and active silicon to add firmness and elasticity, it produces skin that glows with good health. 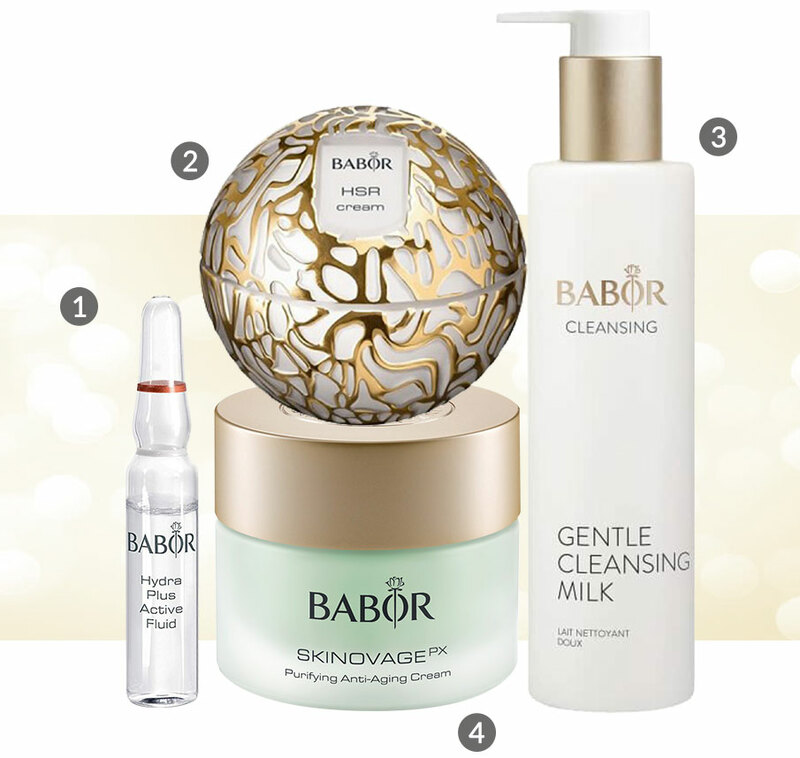 This brand's motto is "made to measure skincare", and it's been enhancing skin radiance since 1985. 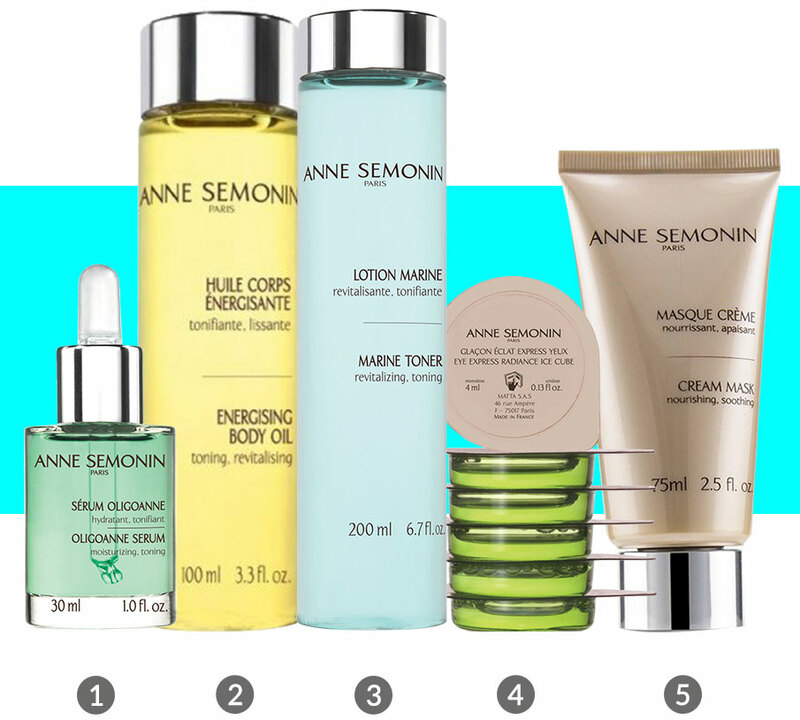 Anne Semonin focuses on creating focused, targeted care for every skin concern you can name. So whether you're experience hormone changes, high stress, or a polluted environment, there is a specialized line just for that. This rich serum is chock full of natural antioxidants, which corrects and restores balance to stressed and polluted skin. It's best for people with troubled skin or congested complexions. Star ingredients include chlorella algae and marine trace elements that leave skin supple and smooth to the touch. This all-over body oil harnesses the stimulating powers of spicy hot ginger to reinvigorate the body. Massage it into your body after a shower and feel the pleasant heat of the ginger sink into your skin. With its antioxidant effects, it will slow down aging while improving skin texture. Formulated with sea water, rose water, and precious extracts, this toner can be used after cleansing to correct dull, sallow complexions. It can also double as a cooling lotion to be used after shaving. Skin will be mattified, soothed and remineralized after application. Packed in individual containers, these ice cubes are meant to be put in the freezer for 3 hours before use. Once they're frozen solid, wrap one in the provided gauze and sweep it around the eye area for instant cooling, de-puffing, and decongestion. This one contains a complex of gingko biloba, hyaluronic acid, wild indigo, hesperidin, and marine spring water for remineralizing and revitalizing. Make the most of your weekend by applying a nourishing mask to your face. This one contains enriching jojoba oils, shea butter, and marine minerals to sooth inflammation and restore damaged skin to peak condition. Dry, flaky skin will see the biggest difference the fastest.